PCHS began in July 1990 as a community development project. It is now a not-for profit, charitable, accredited and a Health Service Provider organization. Mission: To improve the quality of individuals, families and communities. To provide health, settlement an social services to improve the quality of life of individuals, families and diverse communities. PCHS is governed by the Board of Directors (BOD) elected at the Annual General Meeting. There is a provision for between seven to nine BODs and at present, there are nine elected BODs. The board manages its responsibilities through existing committees and the committees are: Governance Committee, Quality Improvement Committee, Fundraising Committee, Audit Committee, and Anti-discrimination and Diversity Committee. The South Asian Mental Health Program provides assistance and support to clients who are dealing with problems associated with some form of a mental illness. Our program uses a holistic approach by providing supportive counselling services to individuals and family members. The South Asian Addictions Program (SAAP) provides assistance and support to those individuals and their family members who are struggling with substance abuse issues. SAAP strives to improve the quality of life by supporting clients and their families through a guided journey to recovery from substance use/abuse in a holistic and culturally appropriate manner. In collaboration with the CW LHIN’s Narcotic Strategy, PCHS has developed the South Asian Opioids Addiction Program. This program caters to the needs of 16 years + South Asian clients with an addiction to opioids. The Geriatric Program at PCHS strives to empower seniors to improve their quality of life in spite of their existing conditions by providing education and support, linkages to community resources and health education, which promotes healthy aging, physical independence and wellbeing. The Settlement Services Program at PCHS helps newcomers integrate into Canadian society, Settlement Services are available for newcomers/permanent residents (PR), citizens, live-in caregivers and conventional/refugee claimants to Canada (proof required). Services are provided in English, Punjabi, Hindi, Arabic and Urdu. This program provides support to youth and their families in the areas of mental health, cultural conflict, domestic violence, and substance abuse. The program provides 1 – 2 hour sessions to individuals in a group format, individualized assessment and planning, service co-ordination, supportive counselling, monitoring and evaluation of services provided to recipients, systems advocacy/resource co-ordination and outreach in the community. The Management Team consists of the Chief Executive Officer (CEO), Chief Operating Officer (COO), Director of Settlement Services, Manager of Operations, HR Manager, Finance Manager, and Manager, Quality and Accountability Systems. PCHS uses a holistic model based on a family centric approach. It dovetails the main aspect of South Asian culture, which is “collectivist in nature”. All services are provided under one roof. 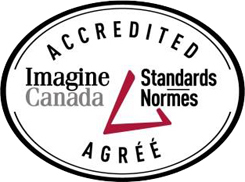 In the last three years PCHS has experienced significant growth as an agency, PCHS has been accredited by Imagine Canada and CARF International, seen an increase in the total number of employees, and introduced new programs under the existing four core programs. Over the course of three years PCHS has seen its staff size grow to 50. With the addition of new employees also came the addition of new programs. The Geriatrics Program added the SAHARA Caregiver Support and Respite (SCSRP), this program provides culturally and linguistically appropriate services to seniors and care givers. The community respite program was started to provide home support to seniors so that their caregivers could take a break thus preventing “burnout”. The scope of services includes one on one supportive counselling, caregiver support workshops, educational sessions, and respite services for seniors to provide relief to caregivers. The Mental Health Program added two programs, In – Short Term Emergency Diversion (In-STED) and Early Psychosis Intervention Program. In-STED is a short term case management program that offers support to individuals 16 years of age or older. This project aims to identify complex mental health needs in a timely manner in hopes of reducing unplanned repeat visits to hospital emergency departments. The Early Psychosis Intervention Program is a case management program that offers support to individuals who require early intervention support for first episode psychosis or mental health concerns within the past two years. PCHS has positioned itself to provide culturally competent services in other geographic areas as well. PCHS has branches in Calgary and Punjab, India. Very soon two new branches will be started in Ottawa, Montreal and Windsor. Access to an international network which provides opportunities to collaborate and form new partnerships. Our accountability is to the Board of Directors, Clients, Community and the Funders. It is imparted through annual community engagement session called “Friends of PCHS”.